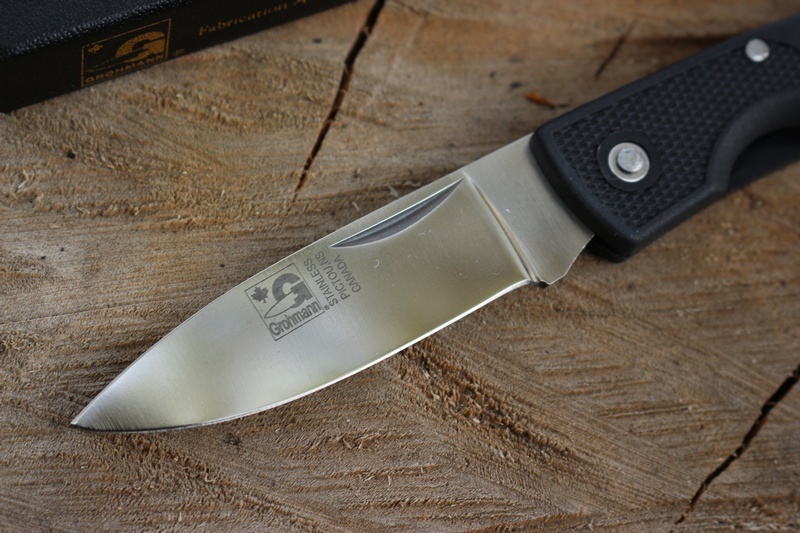 Grohmann Knives Zytel lockback Folder. 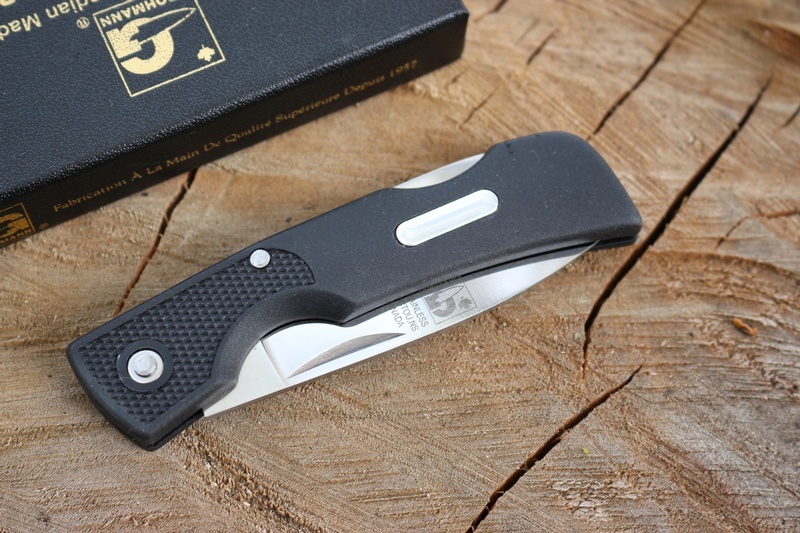 Made in Canada, this is a nice little EDC, camp knife, general whittling and back up. 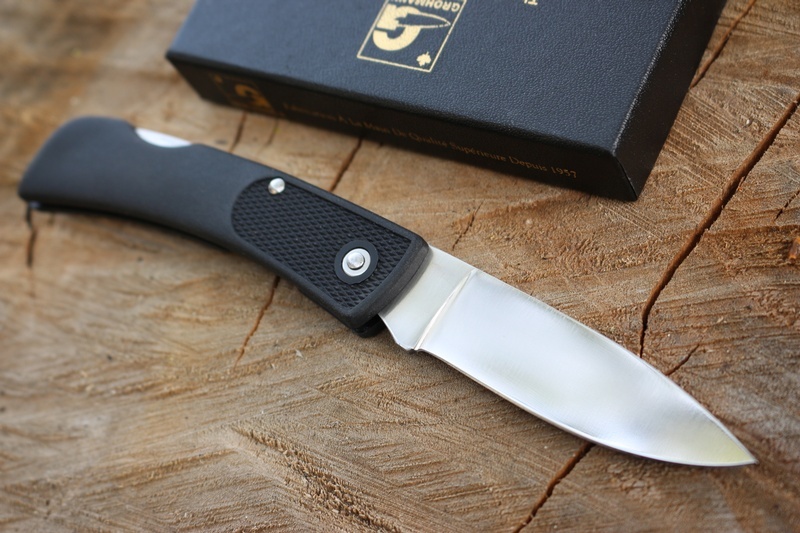 Its a simple Lockback folder with tough Zytel slabs, a general purpose blade shape, good practical design thats both compact and lightweight. 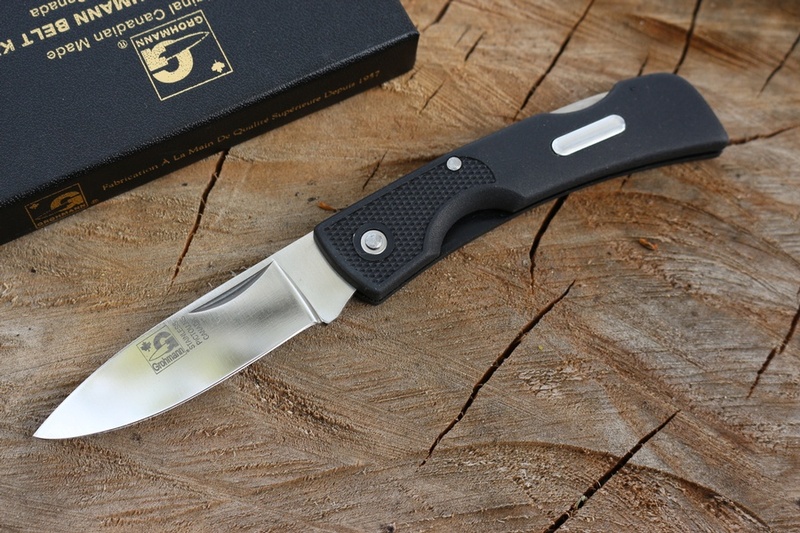 Just 1.4oz, the knive uses the German 4110 High Carbon Stainless Steel to 56/58HRC. Blade approximately 3". Closed length 3 3/4" and open overall length 6 3/4". Purchase through PayPal by using the "Add To Cart" button above or use the form below to order the Grohmann Lockblade Zytel . Feel free to contact us if you have any questions about the Grohmann Lockblade Zytel .